Living Democracy is a series of discussions, performances, and other programs conceived by K-State students and centered around the WT Kemper Gallery in the K-State Student Union. 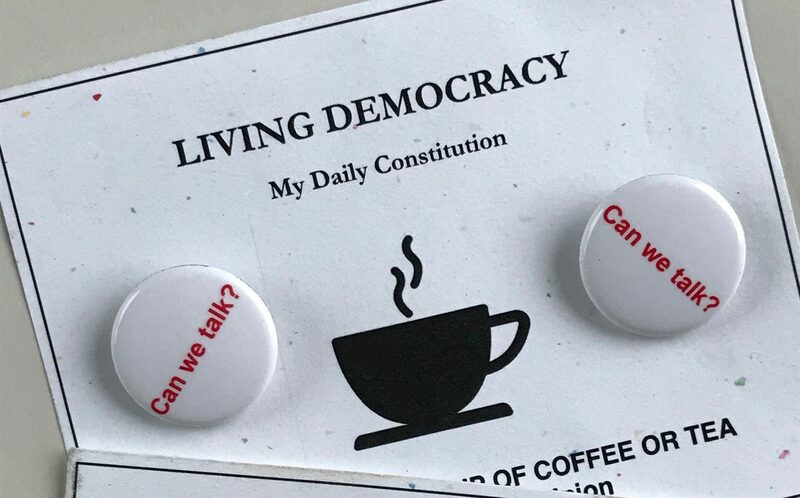 It is the latest iteration of Los Angeles-based artist Linda Pollack’s on-going effort to help communities explore the benefits and responsibilities of living in an open, democratic society. Please check http://www.k-state.edu/ksunite/livingdemocracy/ or livingdemocracy.info for more detailed information.